Keeping the weeds in your vegetable garden can be a difficult task and is one that is definitely tough to tend to by hand. There is a much easier way to control the weeds in your garden, and that is by using mulch. 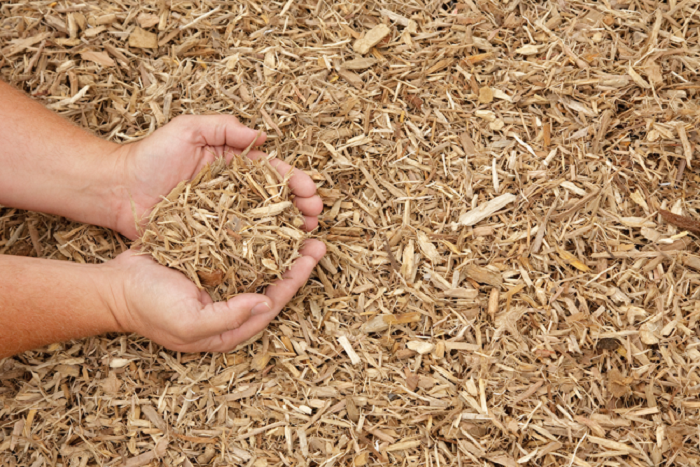 There are many types of mulch which can be used for different purposes. You want to be sure to find the best mulches for vegetable gardens. What Types of Mulch Can I Use in My Vegetable Garden? When it comes to finding the best mulches for vegetable gardens, you need to be aware of what types are feasible for your purposes. There are many types of mulch on the market, but not all of them are suitable for vegetable gardens. Crops: you need to remember that not all vegetables ask for the same growing conditions. Think about what vegetables you are planning to grow before choosing your mulch. Weather: depending on the climate you live in some mulches will hold up better in your vegetable garden than others. Soil Type: you want your mulch to complement your soil type so that your vegetables have the best chance of growing properly. When you’re putting your mulch in your vegetable garden, remember to place it at least an inch away from stems to avoid rotting or fungus. The PlantBest Mega Mulch will cover your target ground and work for up to two years in your garden. This mulch will help to slow weed growth, reduce the amount of necessary watering, and prevent soil erosion. You can use this mulch to create walkable paths in your vegetable garden and add a pleasing aesthetic of reddish-brown. This mulch is high quality which is why the price is higher than some other products on the market, but you will not regret your choice when you see the mulch perform. Keep in mind that this mulch needs to be rehydrated well and may not cover as much area as it claims. 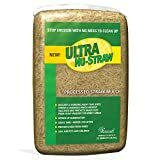 Stray is one of the best organic mulches to use in your vegetable garden and the Ultra Nu-Straw Mulch provides you with a biodegradable option at a fair price. This mulch will prevent soil erosion without leaving you a big mess to clean up. The Ultra Nu-Straw Mulch is made with a tacking agent to hold it together for better performance while remaining safe for children and pets. This mulch will help you save time with watering and speed up the germination of your plants. Using this mulch will protect your seeds from birds and your budding plants from insects. Try not to worry too much about the price, as one bag will go a long way. 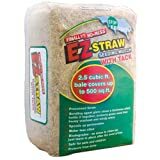 Another option for straw mulch in your vegetable garden is the EZ Straw Seeding Mulch With Tack. This mulch is slightly more affordable than Ultra Nu-Straw and will perform up to par. The EZ Straw mulch is safe for children and pets and made to keep your garden 99% weed-free. This straw has been twice cut and processed to make application easy and is biodegradable, so you will not have to clean up any mess after its use. You can also use a compost mulch for your vegetable garden and Dr. Earth provides you the ideal product. This compost is affordable, versatile, and 100% natural. This compost is made in the United States and contains green-fed earthworm castings, valley grown alfalfa meal, and cold-water kelp meal among other things. One bag of this compost mulch is 30 pounds, which will help you mulch a decent amount of space for a reasonable price. If you’re interested in inorganic options for mulching your vegetable garden, consider Grower’s Solution Black Plastic Mulch. This mulch will provide great control of weeds, block unwanted light, and reduce the need for hoeing and cultivation. This type of mulch works best with an irrigation system. Adding mulch to your vegetable garden will help keep the weeds under control and will make garden maintenance easier. Think about what type of mulch will suit your garden best and add it to your vegetable garden!